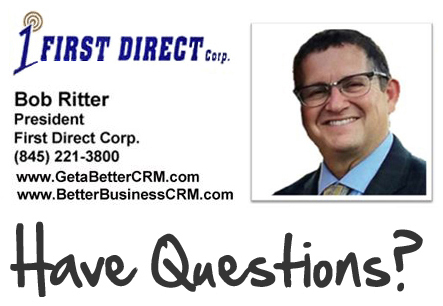 As the President of First Direct Corporation, I face similar challenges and demands that many of my customers do – one of the key being – How to drive new and repeat business? It’s Monday morning, I’ve taken care of the urgent items on my list for today – my call backs, responding to emails – that sort of thing. Now I have a moment to ask myself, “what can I do to develop business?” I’m in search of an idea. Marketing and sales begin with an idea. An idea for a need in the market place or that your customer base has. An idea for a product or service. Sometimes it is simply an idea for what you can do that week or even that day to drum up some new or repeat business. A query of my database to develop a target audience? 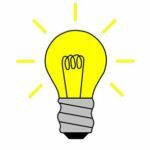 We’ve all probably heard the expression “one idea leads to another.” When it comes to the execution of marketing/sales initiative that is very true. But it begins with one good idea. And, it often begins on a Monday morning. I invite you to discuss new ideas for using CRM with me. Let’s look for the ways you and your organization can leverage your CRM database for better results. Call me at 845-221-3800.